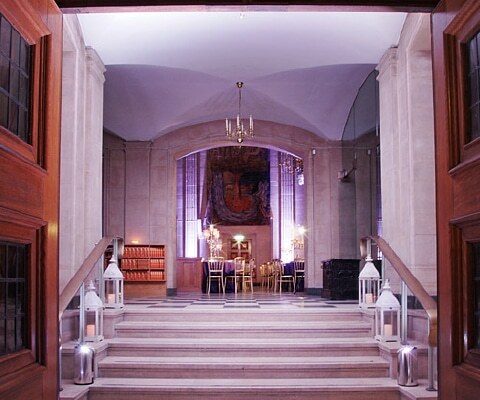 The venue is located in tranquil Austin Friars with Moorgate, Bank and Liverpool Street stations all within easy walking distance. 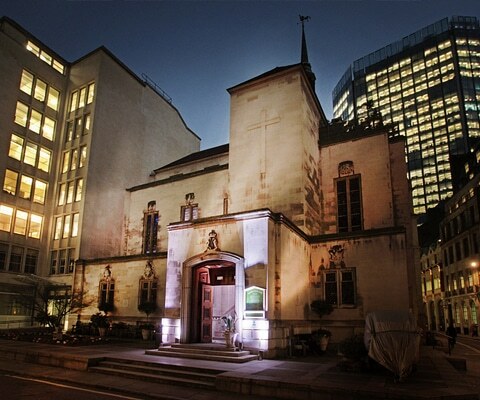 A beautifully renovated church in the heart of the City of London, the history of the Dutch Church dates back to 1550 when Edward VI gave permission to the Dutch, French and Flemish refugees to take shelter and live in the Church. The original building was sketched by Dutch Master Van Gogh during his time in London at the end of the 1800s. 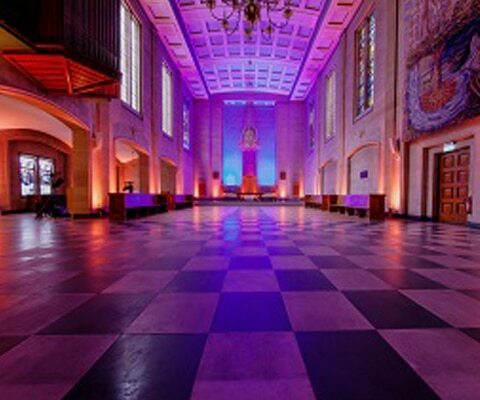 The current building was designed by Arthur Bailey to restore the Church in 1954 after WWII Blitz bomb damage and, along with the original medieval building, marks a half-millennium of Anglo-Dutch cooperation. This historic building in the capital’s Square Mile is now available for event hire, for both commercial and private events. 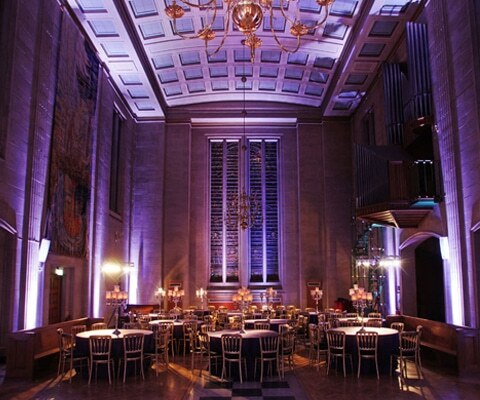 THE GREAT HALL (catering service area) is the largest space and boasts stunning original features and a high ceiling providing the perfect backdrop for any event. 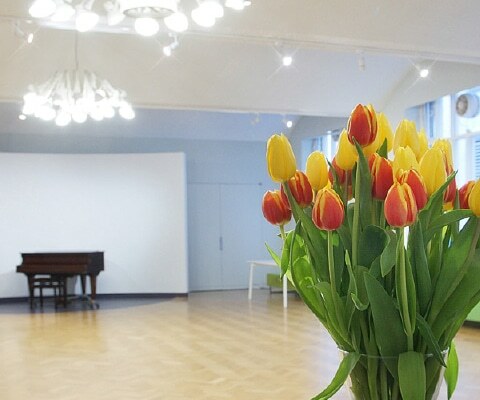 This space is ideal for dinners, standing receptions, presentations and conferences. THE VAN GOGH (main conference room) reception room is an open-plan contemporary space with natural daylight and built-in AV facilities. The neutral decor lends itself well to meetings, conferences and pre-dinner receptions when used in conjunction with the Great Hall. 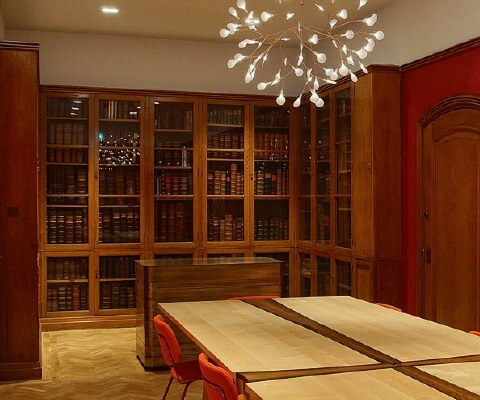 THE LIBRARY (room for speakers) is the smallest of the three and works well in combination with one of the other rooms as a syndicate space or break-out room. It can also be hired on its own for smaller meetings or intimate dinners.